She has an amazing powerful voice and her first name is actually Adele, so without further ado, I have the pleasure of introducing to you British Soul Singer and Songwriter - Emeli Sande. Born to a Zambian father and an English mother, she was raised in Scotland and started to sing at the age of 11. Deciding that she wanted to have a career to fall back on, if music did not work out, she attended University of Glasgow, studying medicine until she dropped out in her fourth year. Having written songs for other artists like Alesha Dixon and Cheryl Cole, her breakthrough came on a track she wrote for Chipmunk titled "Diamond Rings" which garnered them both their first top ten hit in the UK. Shortly after, she was on Wiley's song "Never be your woman" which also became a top ten hit. If you are like me and you do not live in the UK - where she was already gaining her much deserved attention, and where she had to change her name from Adele to Emeli - then the first time you heard of her was on Tinie Tempah's song "Let Go" from his album Disc-Overy. Her voice mesmerized me then and forward to 2012 and she's out with her debut album - Our Version Of Events - released this Monday (February 13, 2012). The phrase "Soul Singer" in my opinion has been very much misused, just like the phrase "I love you". Its understandable however, because it is very hard to describe. Most people think Soul singers only make songs that make you cry, that you play when you are sad or depressed. Of course this is not true, yes you might associate the Soul genre with certain melodies and tunes and instruments, some might even say certain races, but the truth remains that a soulful song is meant to stir your heart. This is exactly what Emeli Sande does on Our Version of Events - her voice, the composition of each song, the lyrics, everything about this album, is the definition of Soul. Let me take you through this album yes? "If you're too proud to follow rivers, how you ever gonna find the sea?So follow me, I'll be your river." Wow! How powerful is that song? That was "River" and the first time I heard this song was on a recent appearance on SB.TV's A64 series where she performed a medley of songs from the album. She had no backup, just her on the piano and right there and then, I was mesmerized and immediately pre-ordered the album. I was going to need to hear the full version of this song. The 2012 Brits Critics Choice Award winner is simply magnificent on this track and words really do fail me in explaining the emotion she evokes in me with this tune. The piano synths on this track are way powerful and knowing that this is the only instrument she needs, speaks volume to the the awesomeness that is Miss Emeli's voice. It was produced by Naughty Boy, who is also on one of the album tracks, "Daddy" and who also produces most of the tracks on the album. "I really hope Martin can't see this. I hope that we still have a dream. I'm hoping that change isn't hopeless. I'm hoping to start it with me. I just hope, I'm not the only one." With such powerful and great talent, comes great responsibility. 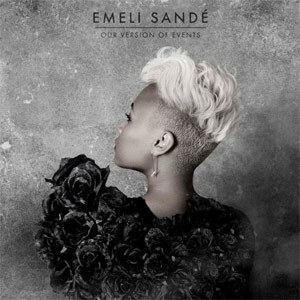 At least, that's what I reckon Emeli was thinking when writing "Hope". Like many other wonderful artists before her, she is using her voice and song, to influence anyone that might hear, and I hope, like she does, that we really all do contribute to making a difference to our world, our friends and family. It was co-written and produced by Alicia Keys, and that right there is huge for a debut record. I'm expecting to see them perform it together very soon. Reminds me a little of the late Micheal Jackson's "Human Nature", especially with the background effect that sounds like waterfalls - just like on MJ's track. "Cos all I did was love him, but I can't stop him walking. My baby's got his suitcase, but please don't ask me why." Well, what is a Soulful record without a song about break-ups? Adele just won six Grammy awards for a soulful record filled with songs about breakup, so you know its a winning formula, if nothing else. On "Suitcase", Emeli talks about her man leaving her for reasons unbeknownst to her and having been there myself, I can totally relate. The guitar, the drum, the piano and backup singers with wonderful harmonies, all come together in a perfect melody to make this song truly beautiful. "I've said all of my goodbyes to ego. I gambled all i got, there's no plan B. It's the first time that I've learnt to let go. Its the only place, i feel like me." I could not very well end it with a sad song and frankly, I just wasn't ready to stop telling you of all the reasons why you should go get this album immediately. I see no reason why Our Version of Events cannot be a number one album on the charts. On the Naughty boy-produced "Where I Sleep", she speaks of a love so powerful, so strong, that she will go to any lengths for. I want that kind of love, don't you? This is the first song on which she reminds me of anybody else, sounding somewhat like Beyonce on this track. This two-minute track is definitely my favorite on the album. There you have it guys, four out of fifteen perfect reasons why you should go ahead and buy Emeli Sande's debut album - Our Version of Events. I see this album winning Grammy awards and every award out there over the next twelve months and I predict this record is going to be one of the albums of 2012. Her voice is simply beautiful and you can hear her passion in each song, she is a great song writer and the production of each song is done excellently. Kudos to her and her entire team on a stellar debut album. We at WE PLUG definitely certify this GOOD MUSIC and wish her all the very best.